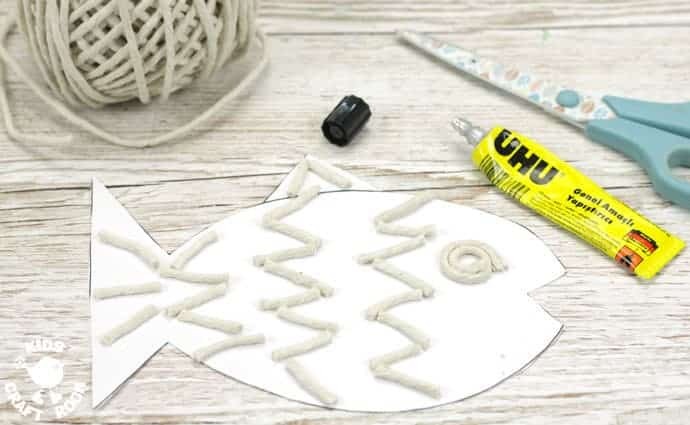 Here’s a stunning fish craft with a difference that you won’t want to miss! 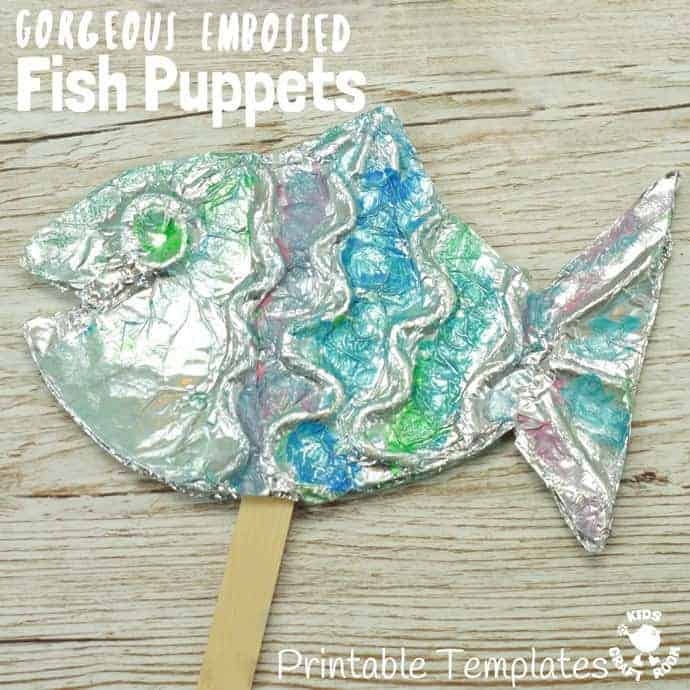 I just adore how this embossed foil fish craft turned out and I’m sure you and the kids will too. 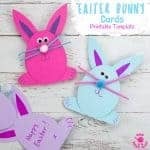 We originally made these as a fish puppet craft but we fell in love with them so much that when the kids finished playing with them we mounted them in a frame for our wall. They really are gorgeous! 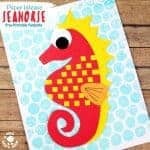 With 3 printable fish templates to choose from this is a quirky fish craft that will appeal equally to preschoolers and teens. 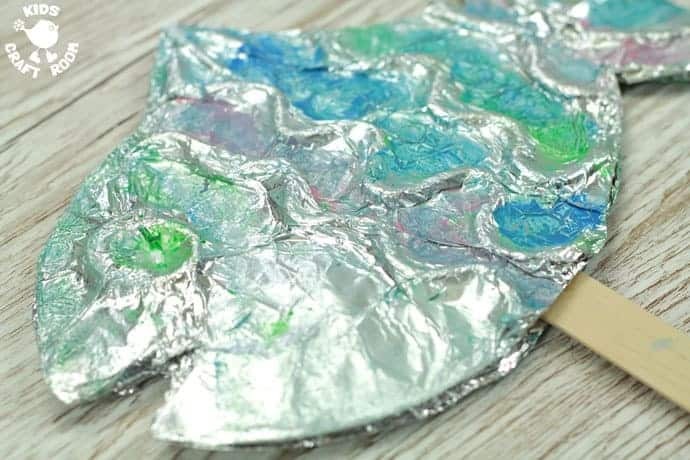 Not only do kids get to work with foil which is so much fun, they also get to explore patterns, textures and colour blending as they build up a stunning embossed effect. 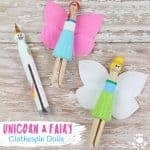 This has been one of my favourite kids crafts this year to be sure! 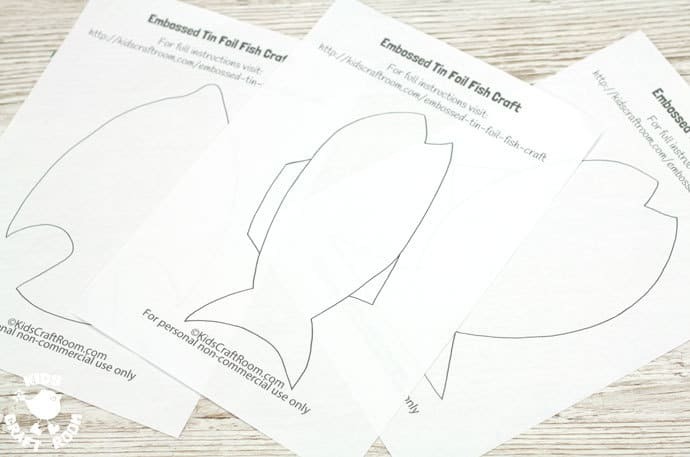 We’ve created three Printable Fish Craft Templates featuring different fish shapes so you can create a whole ocean of gorgeous embossed foil fish! 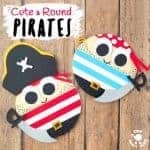 They go brilliantly with our other favourite ocean themed crafts too. 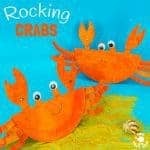 Rocking Crabs have fun nipping pincers! 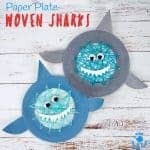 Our Paper Plate Shark Puppets snap and chomp! 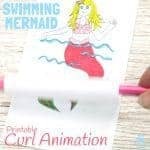 Mermaid fans will love to make a Mermaid Animation that swishes her tail and waves her hand! What can you see through the porthole? 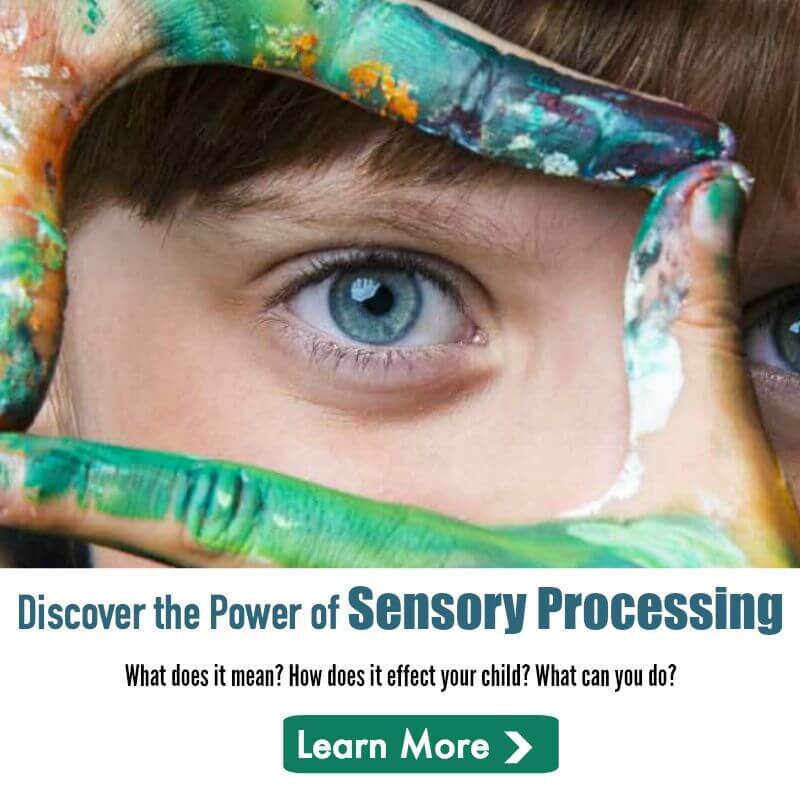 Could it be a pirate ship rolling on the waves? 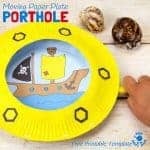 This Moving Porthole Craft is loads of fun! 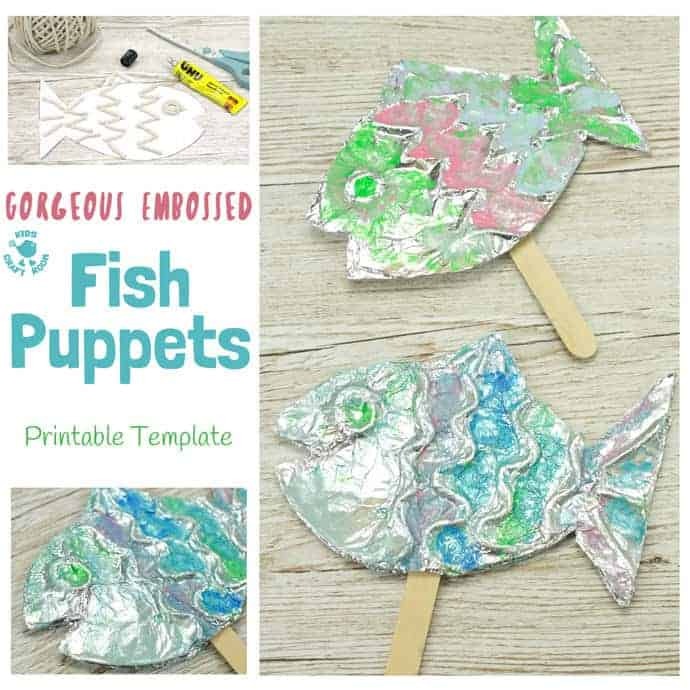 This embossed foil fish craft can be made using very simple or highly detailed embossed patterns making it a fantastic fish craft to explore with kids of all ages. 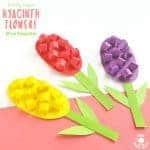 It’s a simple technique yet highly effective technique and you probably have all the supplies you need in your craft cupboard already! 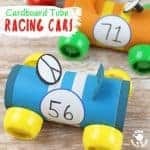 1 – Start by choosing your fish craft template available at the bottom of this post. 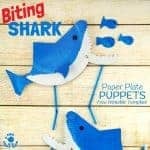 There are 3 fun designs to choose from and you’ll need to print two of the same fish for each fish puppet you want to make. 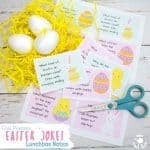 2 – Cut out pieces of 4mm thick twine or drinking straws and glue them on to your fish templates to make raised patterns. 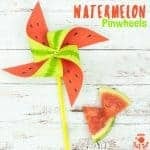 Younger kids can keep it really simple and older kids can create more intricate fish scales and fish fin designs. 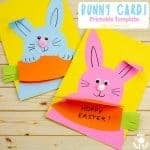 3 – Tear off 2 pieces of foil large enough to over lap each fish craft template. 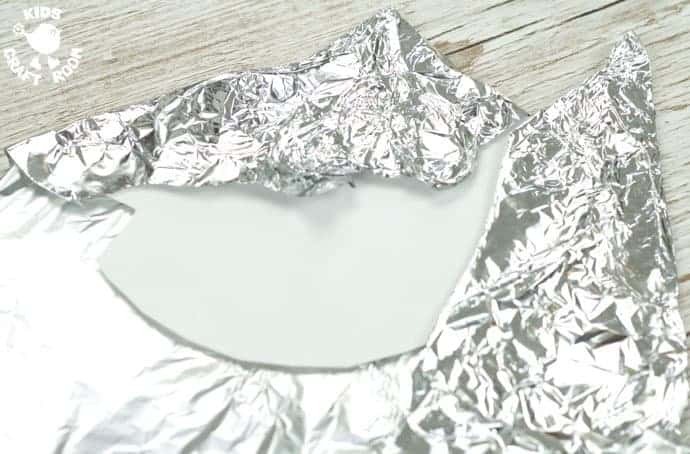 Lay the foil on top of your fish craft and starting from the middle and working outwards, gently push the foil into the dips and hollows between your string pieces. 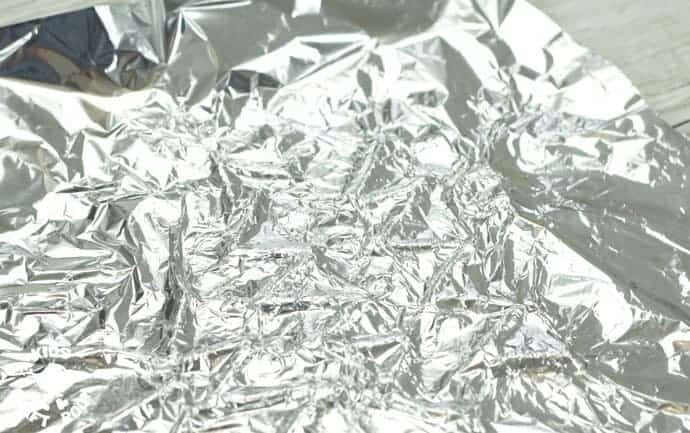 Be gentle or the foil may rip. 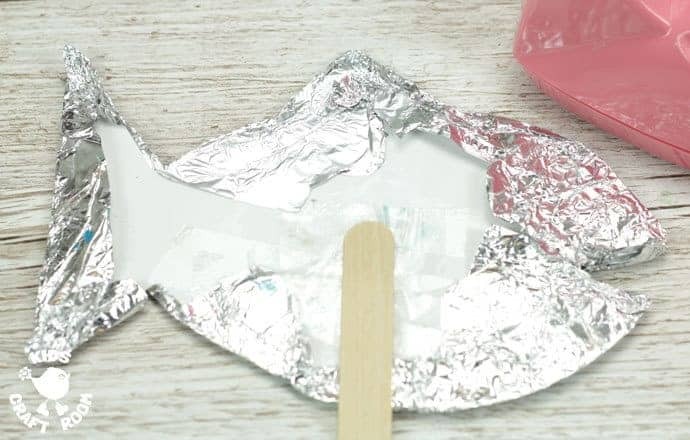 4 – Turn your foil fish craft over and wrap the foil tightly around the edges onto the back of each fish. Keep it as flat as you can but it doesn’t matter if it’s messy because it’s going to be hidden later. 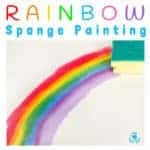 5 – If you are making a fish puppet use sticky tape to attach a jumbo popsicle stick onto the back of one foil fish. 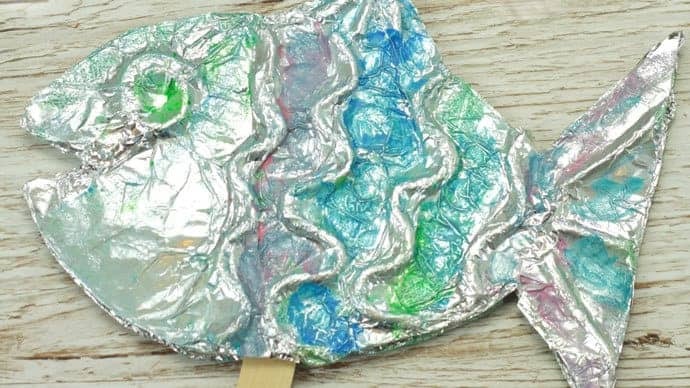 6 – Finish your embossed foil fish puppet by glueing the two fish halves together and painting the lower areas between the string pieces. 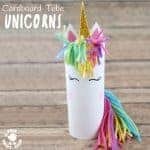 Paint can flake off foil over time but I find using acrylic paints with a dash of washing up liquid added really helps the paint last longer. 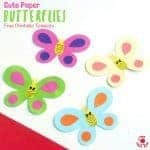 Now your fish puppet craft is double sided so it will look beautiful from all angles as kids swim them around. 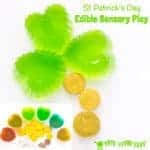 What a fun foil art project that’s great for imaginative play too!